A lot of things happen at Walmart. Today, I went in there with one goal in mind: To find a lint roller. You know, one of those things that you roll around your clothes to get rid of the lint? Yeah, one of those. Well anyway, I went up to the door that said “Exit” hoping that it would let me in even though it was meant for people to get out. And it didn’t. So I went up to the door that was labeled “Enter” and it didn’t open. So I backed up, and pretended like I was normally approaching the door once again, thinking that maybe the door sensor might be aiming a little further away. The door wouldn’t move. So I stood there, checked the time. Yup, the store was open. I jumped up and down, and waved at the little black box on top of the door. I pushed a button that was up there, I touched the door (hey, I don’t know! I’m new to this town. It might be all hi-tech.). I even said please and the darn thing wouldn’t even respond. I could see people inside playing around with the vending machines, minding their own business. I even saw the old lady the checks the receipts glance over and turn away again. But then, an old man approached the door. I would’ve been mad it if it opened for him and not for me but no luck. It didn’t open. . . and it opened. Awesome! He walked in, and we both went our separate ways. And as for my lint roller, after half an hour of asking around and going from the pharmacy area, to the grocery department, to the health and beauty section, I finally found a nice lady who told me to use my tongue to get rid of the lint. I think she was serious. LOL…Your tongue? I wouldn’t let her do my laundry! If you try it let me know! But would you get a lintball and have to puke it up? She didn’t say, but I’m assuming so. Hahaha! Haha! This is a great story and a great idea for blog posts. I LOVE awkward moments. One awkward moment I run into almost on a daily basis: people trying to get on the elevator before letting you get off. There’s nothing like the doors opening to someone leaning in 2 inches from your face to get your day off to a great start! Whoa! You’re right.. that elevator moment is extremely awkward. And a bit startling. Hahaha. . thanks for stopping by! LOL! The old man seriously say that? Hahaha. Sometimes, my friends and I go to Wal Mart and turn off the automatic doors on one side (since there are usually two sets, like you said), and stand in the parking lot to see how people react. One time, a woman rammed into the door with her shopping cart. Another attempted to pr them apart using her hands. That would be so funny to catch on camera. 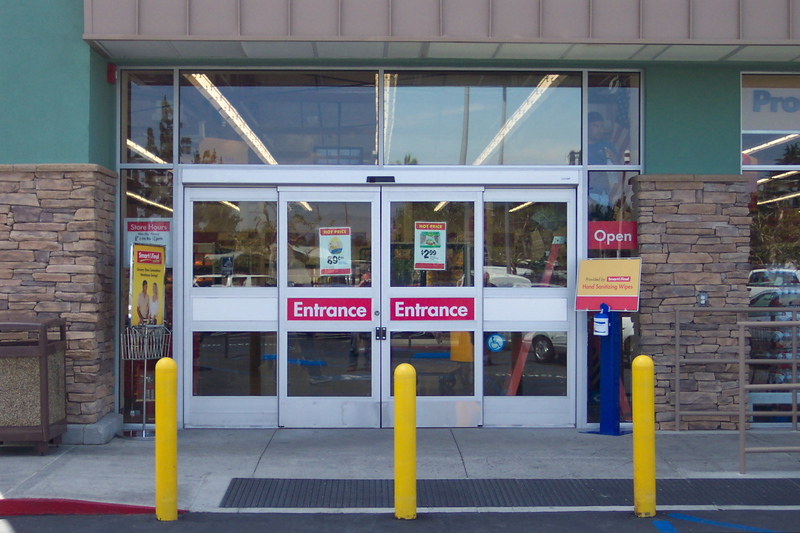 I once saw a guy run into an automatic door, and they actually swing open like regular doors sometimes.. really surprised me! Also, when you are getting in the lift and the door, which is supposed to recognize human beings and not close, closes… First it hits you hard before others inside the lift manage to press the button to keep the doors open, and then there are the jokes.. all of which are funny though, not awkward.